Why would I need self storage in Hazelwood, MO? There are a variety of reasons why you might need self-storage in Hazelwood, MO. How much is a storage unit in Hazelwood, MO? The cheapest storage unit in Hazelwood, MO is $22.00 per month. What size storage units do you have available in Hazelwood, MO? In Hazelwood, MO we have sizes that range from 5'x5' to 10'x30' to suit your storage needs. How much is it for a 5'x5' storage unit in Hazelwood, MO? The cheapest 5'x5' storage unit in Hazelwood, MO is $22.00 per month. Hazelwood is a small but vibrant city in St. Louis County, home to a thriving economy and a variety of local amenities. 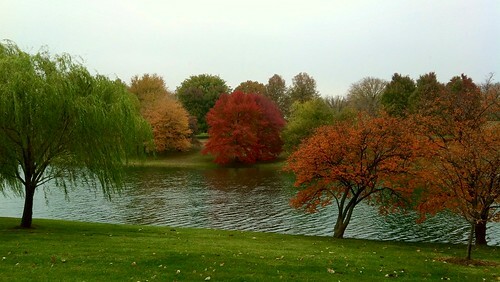 As a second-ring, northern suburb of St. Louis, Hazelwood is far enough away from the city to provide a quiet refuge while still maintaining easy access to jobs, entertainment and more. The area in the Florissant Valley that's now Hazelwood has a rich history, with Native American settlements traced as far back as 4,000 B.C. In the 1600s, French explorers arrived, and by the late 1700s, both the French and Spanish had started settling here. By the 1900s, major businesses and industries had started to arrive in Hazelwood. The city of St. Louis attempted to annex the community, but local farmers banded together to resist the efforts in 1944 and ultimately won. In 1949, Hazelwood was incorporated as a village. Hazelwood offers a variety of recreational opportunities, including neighborhood parks, sports, shopping and more. You can enjoy many parks throughout the city, like Little White Birch Park, Musick Park, Brookes Park and Friendship Park. Among Hazelwood's more than 15 parks, there are children's playgrounds, picnic areas, sports fields, walking trails and plenty of green space. The Hazelwood Sports Complex is a popular spot for locals, hosting sports leagues for both children and adults. Or during the summer months, you can check out the White Birch Bay Aquatic Center which includes a competition-sized pool. Several bike routes criss-cross Hazelwood, providing a scenic bike ride through many corners of the community. The St. Louis Outlet Mall is another entertainment option. It's home to the city's main movie theater, a skate park, go-karting and birthday party venues. Hazelwood School District operates the public elementary, middle and high schools in the city. There are also many private schools in Hazelwood, ranging from preschool to high school. Utilities: Primary utilities companies in Hazelwood include Missouri-American Water, AmerenUE and Laclede Gas. Garbage and Recycling: The city is divided into several collection zones, each assigned one day per week for curbside collection of trash and recyclables. Transportation: The St. Louis Metro Transit system serves Hazelwood and many neighboring cities. The Hazelwood housing market is extremely affordable, with many homes that are far less expensive than the national average. Compared to many nearby cities, it's a budget-friendly suburb with a variety of home choices. If you'd prefer to rent rather than buy, you'll have a wide range of apartment communities, town homes and condos to consider. Our lowest priced units in Hazelwood, MO average $22.00 per month. 76 people have reserved units in Hazelwood, MO in the past 30 days. There is 1 location within Hazelwood, MO's city limits.